23,5x16,5 cm – 48 pages. 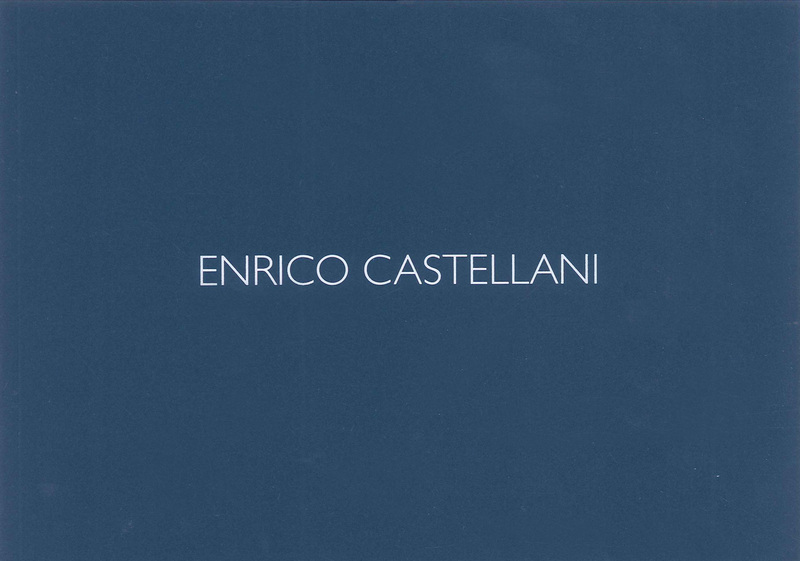 Catalogue published on the occasion of the exhibition of works on paper by Enrico Castellani housed in the gallery of Matteo Lampertico in Milan from 11 December 2015 to 26 February 2016. The volume, published in collaboration with the Fondazione Enrico Castellani, includes an essay by Irina Zucca Alessandrelli treating the works on paper created by the artist from 1959 to 2015 with particular attention being paid to the emblematic works and to those on exhibit, all of which reproduced in colour in the catalogue.